The Pearson 26 is one of Pearson Yacht's most successful models. A Bill Shaw design, it was first available in 1970 and quickly became another best seller. 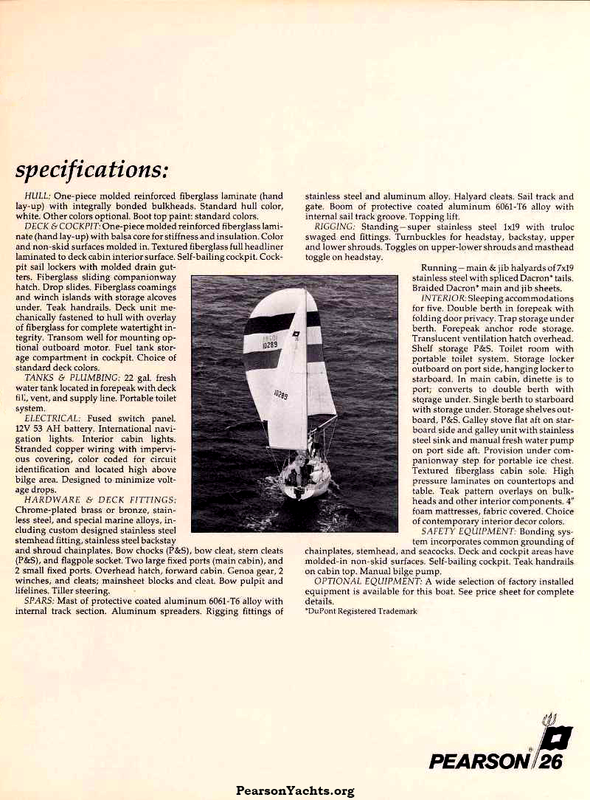 When the Pearson 26 was unveiled at the 1970 New York Boat Show, its designer, Bill Shaw, said, "Providing ample headroom without making a 26–footer look like a layer cake is one of the challenging design aspects of a boat this size. It looks like we’ve solved the problem, and proven that speed, ability, and accommodations, can in fact, go hand in hand". By the time Pearson took the boat off line in 1983 more than 1700 had been launched. 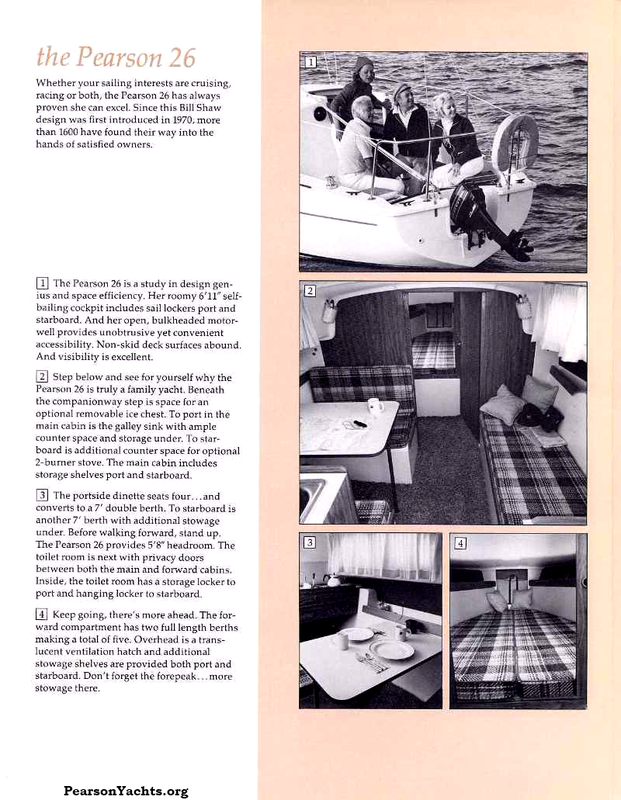 Another 400 or so were built to a slightly modified deck design known first as the Weekender and later as the P26 One-Design, which was 200 pounds lighter but provided only five feet of headroom in the cabin. This modest coastal cruiser is a masthead sloop with a swept back cast iron fin keel and four feet of draft that provides for stiffness in a breeze. The spade hung rudder is also swept back and runs through the cockpit with tiller steering (check rudder bearings on used boats). The hull is solid fiberglass with a balsa cored deck. The boat has a motor well on the stern and is easily run with a 10hp long shaft auxillary outboard. She’s got a bright, airy cabin with four fixed ports, and room for "the whole gang". The Person 26 looks like a yacht on the outside and feels like a yacht on the inside. This is the boat you've heard so much about… the one that people say should tow a dinghy to slow her down when racing; the one that is most often seen towing one because she's putting out to the cruising grounds for a day, weekend, or week of family fun afloat. 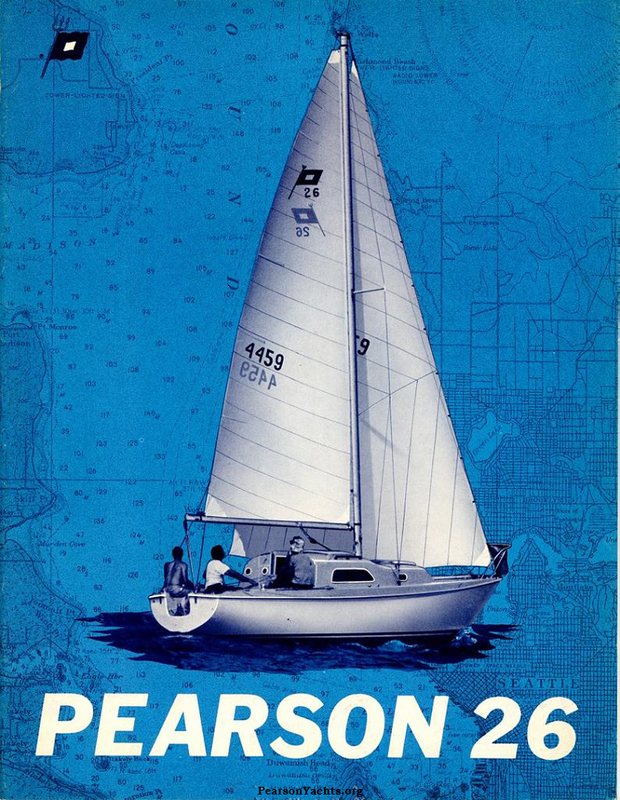 The Pearson 26 indeed set the pace for others to follow. 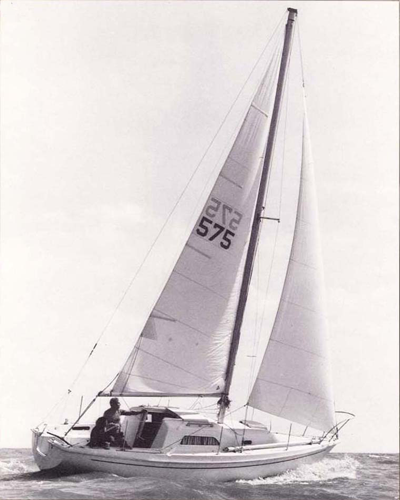 When other boats under 30 feet with equivalent accomodations looked like layer cakes and cost way out of proportion to their size, the 26 showed the way in comfort, appearance, and price. Under the guiding hand of Bill Shaw, the acknowledged master of space, efficiency, and good looks in yacht design, the 26 has proven that speed, ability, and accomodations can, in fact, go hand in hand. Qualities that were never before seen in boats her size are standard in this remarkable boat - 5' 9" headroom, a fully enclosed toilet room, five full-length berths, a convertable dinette, anodized spars, forward hatch, and a luxurious interior color plan at a price that defies comparison. And with all this, the Pearson 26 succeeds in looking like a yacht outside and feeling light a yacht inside. Maybe that's because Pearson built her not knowing how to do it any other way. Maybe that's also why Pearson 26 Associations are springing up all over the place. 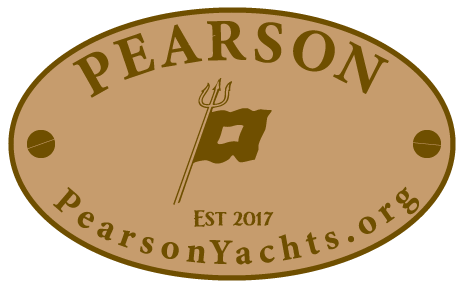 Seems Pearson 26 owners like to talk about them as well as sail them. I don’t know whether I enjoy this remarkable boat more when I’m cruising or when I’m racing. It excels in both areas. It’s a great 26-footer. 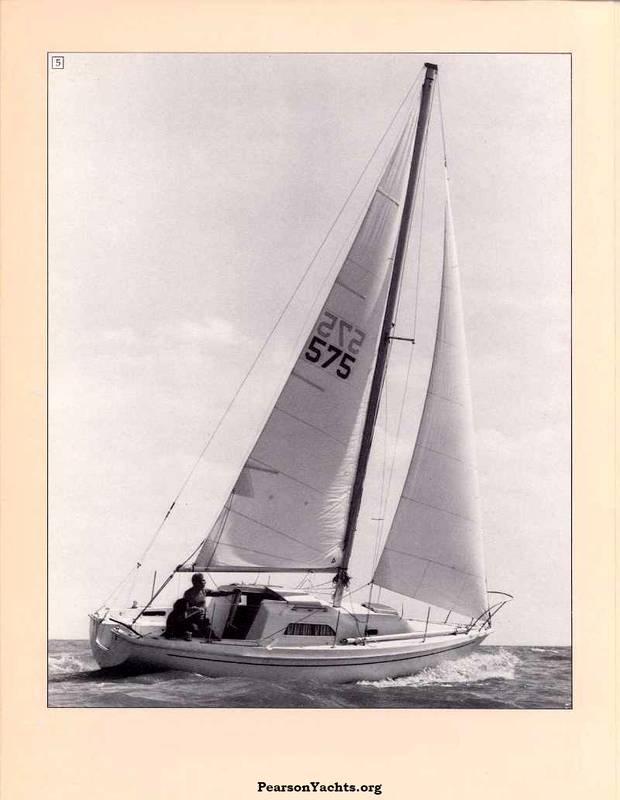 The above excerpt from a letter we received is typical of what Pearson 26 owners write-and say-about this singularly uncommon cruiser/racer. 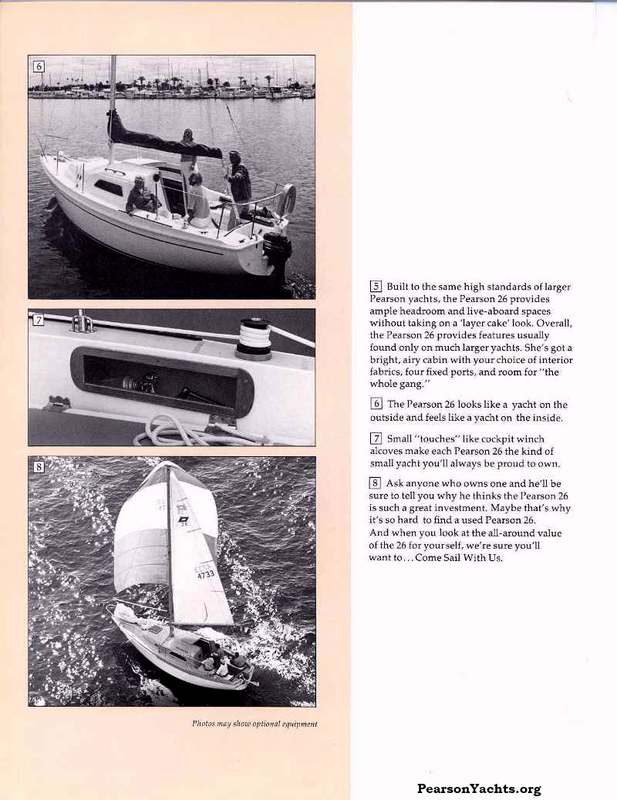 When the Pearson 26 was unveiled at the 1970 New York Boat Show, its designer, Bill Shaw, said, "Providing ample headroom without making a 26-footer look like a layer cake is one of the challenging design aspects of a boat this size. It looks like we’ve solved the problem, and proven that speed, ability, and accommodations, can in fact, go hand in hand. What prompts Pearson 26 owners to write us are things like: Five full-length berths, a convertible dinette, popular aft-galley, 5’9" headroom, a fully-enclosed toilet room, forward hatch, a luxurious interior color plan and the way she wins races. 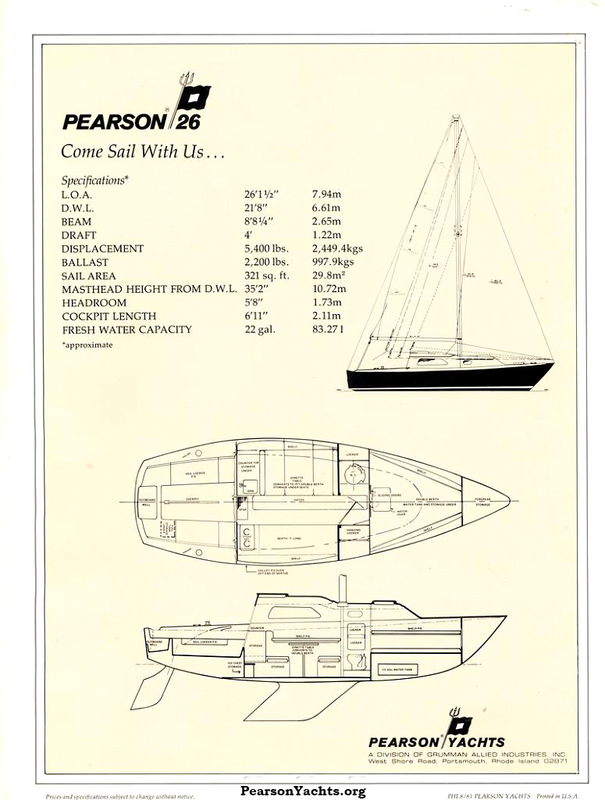 The Pearson 26. The boat that looks like a yacht on the outside and feels like a yacht on the inside. It’s everything you’ve been looking for. Including top resale value. Maybe that’s because PEARSON built her not knowing how to do it any other way. Maybe that’s also why Pearson 26 Associations are springing up all over the place. 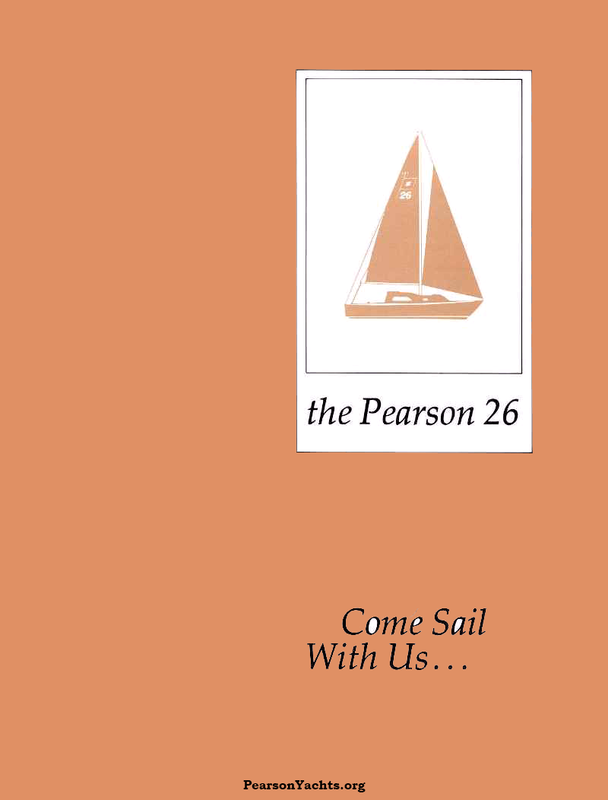 Seems Pearson 26 owners like to talk about them as well as sail them. Race the Pearson 26. Take it for a weekend cruise. Sail it yourself. Or bring the gang along. And if you get a chance, drop us a line; we’d like to hear from you, too.